We have created various games and activities to encourage the whole family to engage in health and fitness! To download and print each template, simply click on each image. 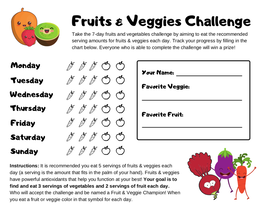 How many fruits and veggies does your child eat everyday? Spell your name fitness circuit! Apply the 3 Ps at home! Add stickers when your child displays patience, positivity, or perseverance! Print out this activity log and your child can record anything that makes him/her sweat! Click to order a deck of Pick Your Poison Circuit cards! 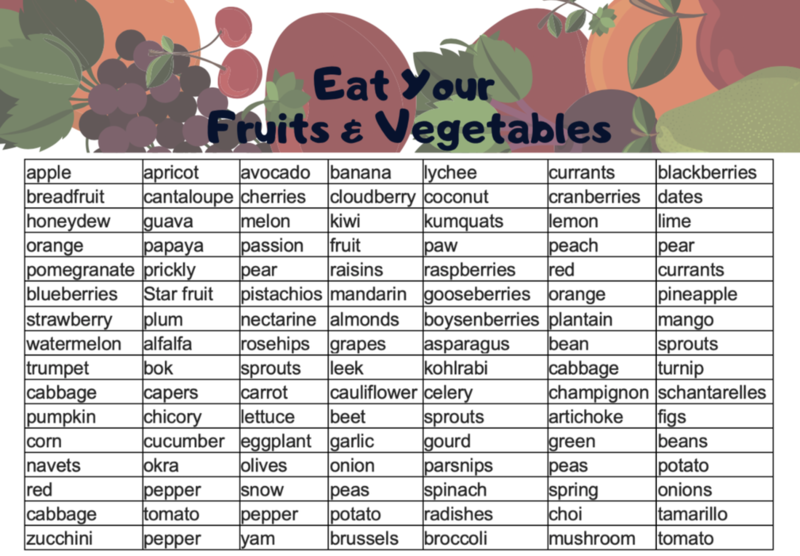 Highlight the fruits and vegetables that you eat throughout the week! Challenge yourself to try some new foods!